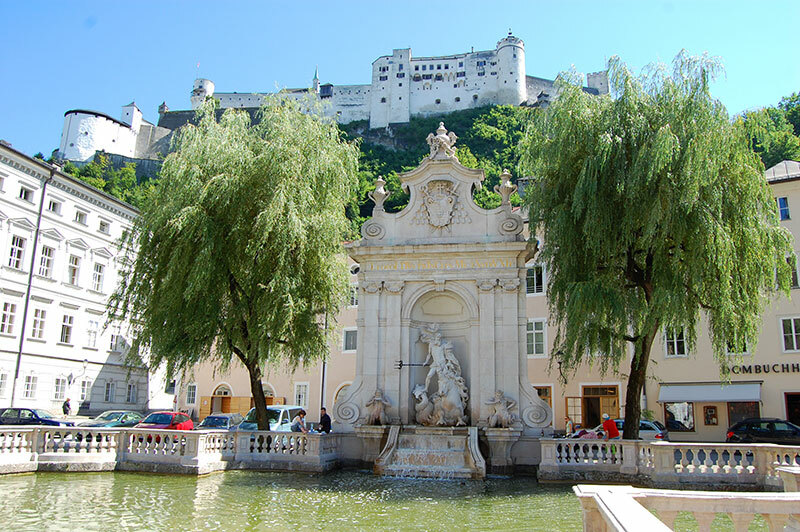 Salzburg is one of Austria’s most elegant historic city’s. If you pick the right time of the year, you will enjoy magnificent historical sights, culinary delights and culture highlights. With the white capped peaks of the Alps to the south and the green undulating countryside of Bavaria to the north, Salzburg has one of the best backdrops in the world. Combine that with baroque cityscape that dominates the historic centre, and you have an urban masterpiece. 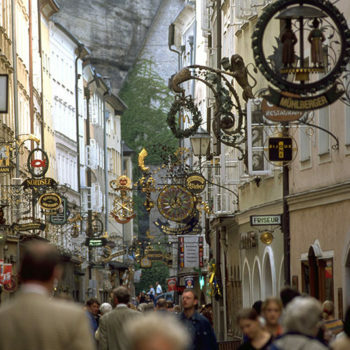 Salzburg, despite its long history it’s first and foremost a baroque city. Just about all of the architecture, fountains and parks visible today are constructed during the 17th and 18th centuries. The narrow streets of the old city, is the main attraction. 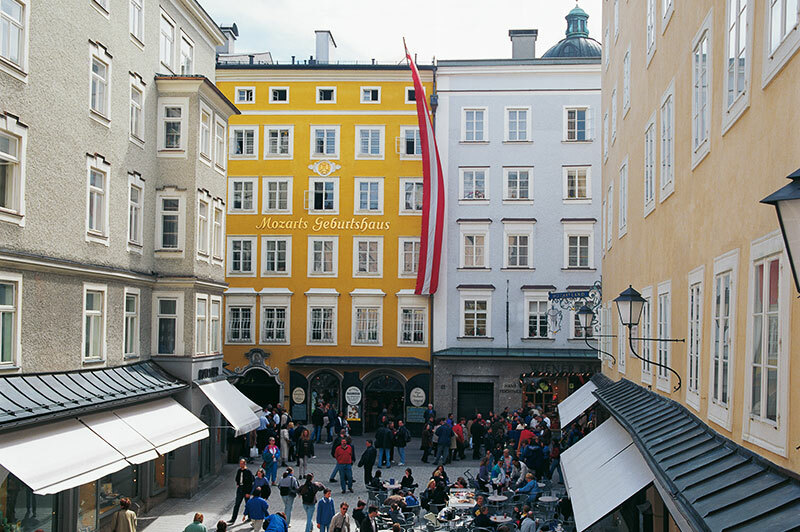 Most visitors head straight for the popular Getreidegasse in the historical city centre, and so should you. Usually, the shopping street is chock-full of tourist, thus just get it done. Some of the side streets are less crowded, but it is what it is. Nevertheless, when you are done exploring the old city, find some time to venture across the bridge as well. 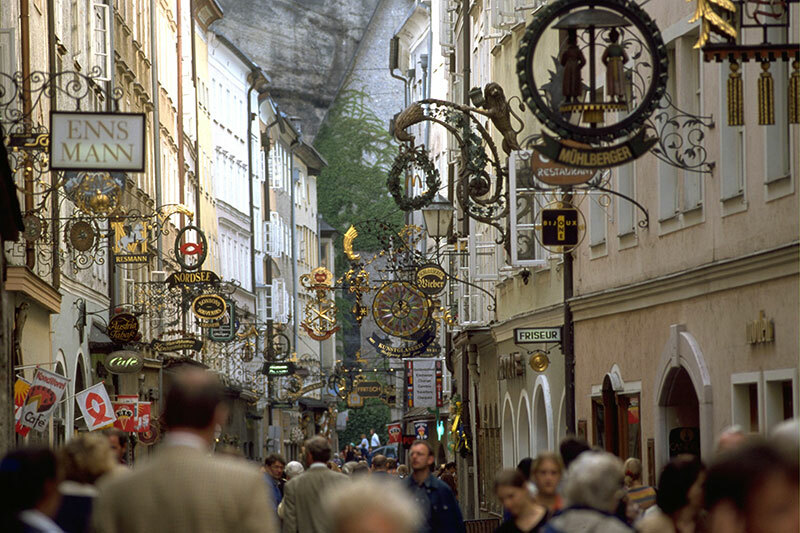 Not only to visit the Mirabel Palace, but also to check out the small streets in this part of Salzburg. The number of tourists falls rapidly as soon as you venture off the beaten path. Moreover, there is no way around the musical superstar of Salzburg, Amadeus Mozart. 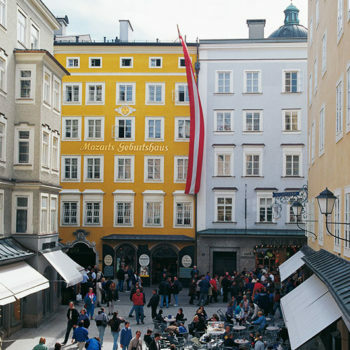 4000 culture events take place during the year in Salzburg. Such an abundance of events can almost take the breath away, from even the most avowed cultural lover. You can attend anything from concerts, ballet, art exhibitions to puppet shows. 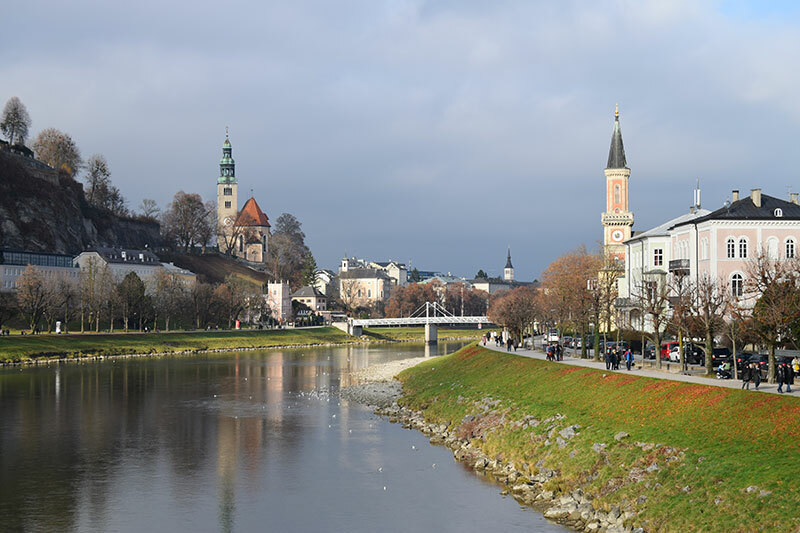 Nevertheless, it’s not possible to write about Salzburg without mentioning Wolfgang Amadeus Mozart. For those interested in classical music, of course, the city offers a much larger repertoire, than just Mozart. 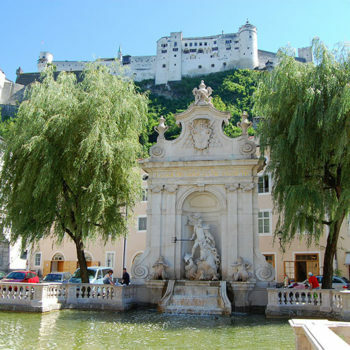 The Salzburg Festival is an annual six-week long music festival which takes place mid-July to August. Mozart’s birthplace in the Getreidegasse, with the Mozart family’s residence on the third floor, is one of Austria’s most popular tourist attractions. Even though you are not a huge fan of classical music, the Mozart Museum is well worth a visit, just to get a glimpse of life of a superstar in 17th century Austria. The museum contains family portraits, the violin Mozart played as a child, his concert violin, two of his pianos and numerous letters, personal belongings and music. 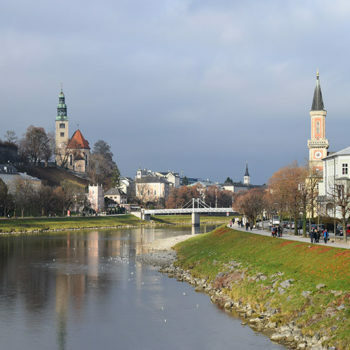 Furthermore, if you like to learn more about Mozart, there is also the “Mozart’s Residence” on the other side of the Salzach River. 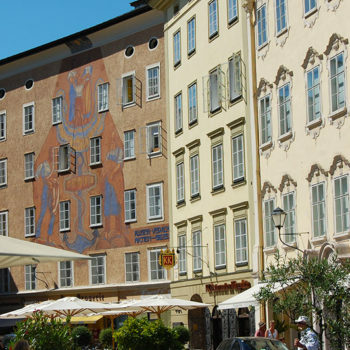 Mozart’s heritage is a firm part of Salzburg’s history, but the city has much more to offer. Pay a visit to the fortress as well. We have not forgotten one of the most obvious sights in Salzburg, the Hohensalzburg fortress. Take the funicular from the old town and up to the fortress. Guided tours in the fortress gives you a little insight into life during the Middle Ages. And the view is fantastic! Not only over Salzburg, but also north into Germany, and south towards the Alps. Several courtyards within the fortress are almost reminiscent of small villages, especially on days when markets are organized. 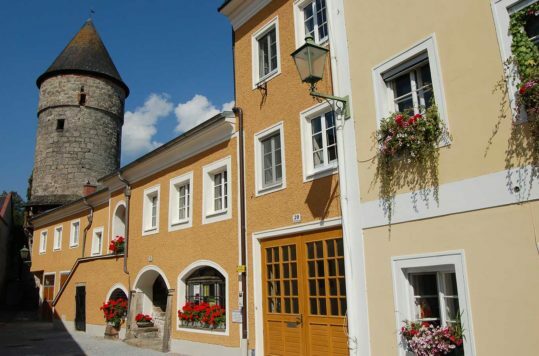 Hohensalzburg is therefore worth spending at least a couple of hours on. 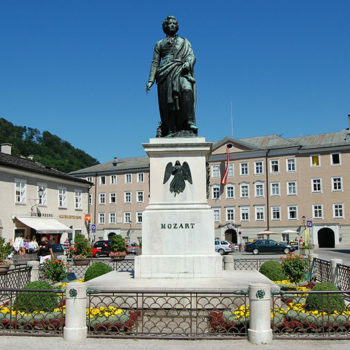 Mozart’s birthplace Salzburg is one of Austria’s most visited tourist destinations. 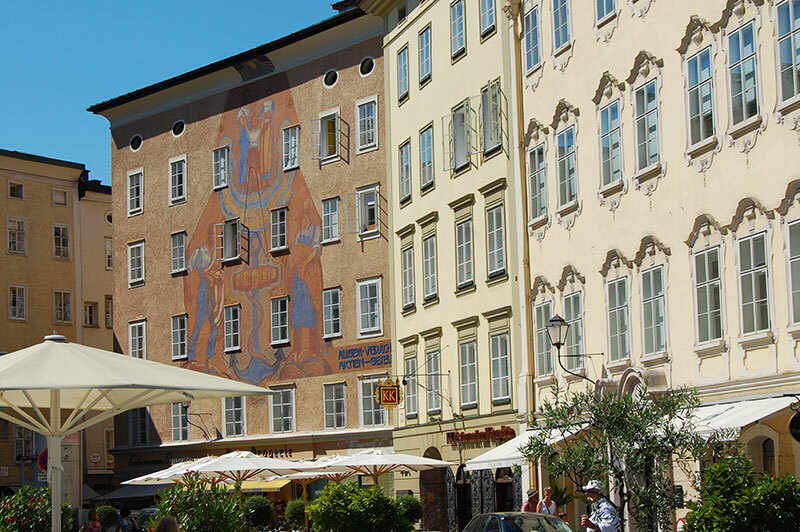 Furthermore, in the high season, the historic centre (Altstadt) is overrun by stampeding tour groups and day trip tourists. Prices are sky-high, service lacks finesse and you have to queue for almost everything. 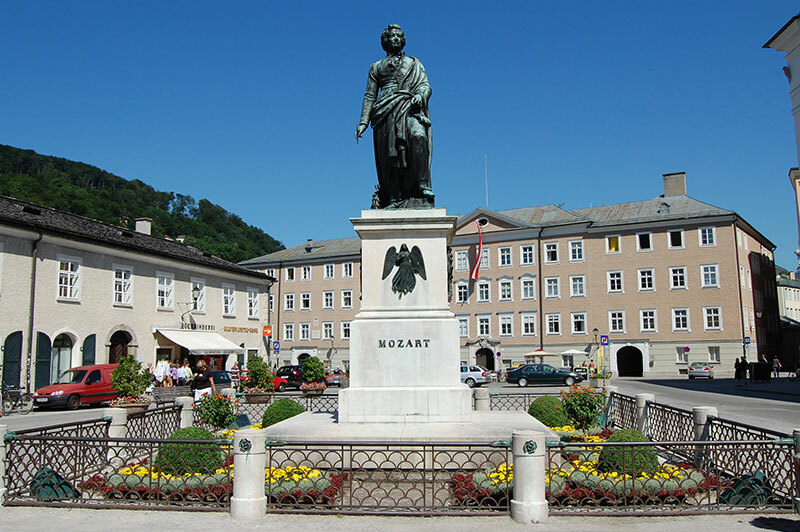 Nonetheless, the city of Mozart is a delightful place to visit. You just have to pick the right time.